We just added a cool new feature to our website. 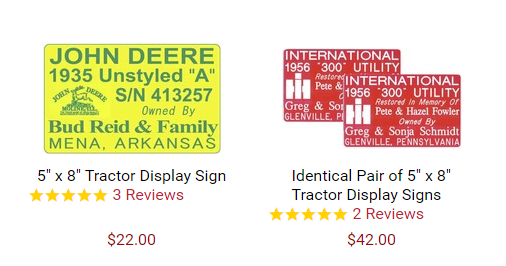 It’s a product rating system that now appears below our products in the store! After customers place an order and receive their products they are sent an email asking them to rate and review the products they purchased. It’s going to take a while for us to receive reviews for every product. However, the reviews we have received so far have been awesome! This gives new shoppers visiting our site a chance to see what other people (like you) think about our products and service. How cool is that? Notice the yellow stars beneath the product description, and the reviews in red beside it? To see them click on “Reviews” and it will show you what our customers are saying about that product! The image below will take you to see a few of our reviews. Once the page opens in a new browser, just scroll down to the bottom of the page to read the reviews. Thank you to everyone who has already left a review. We really appreciate your kind words and your support!